In cooperation with Air Iceland, Icelandair will provide passengers their second Scottish destination, and sixth in the United Kingdom. The new Icelandair flights operated by Air Iceland between Keflavik (KEF) and Aberdeen (ABZ) offer travellers from North America a new flight option with convenient connections to Scotland’s third largest city. Located on the coast of Scotland’s North Sea, the City of Aberdeen and the surrounding area offer cultural activities, exciting nightlife, the beauty of the Scottish Highlands and the region’s stunning, sprawling coastline. “Aberdeen is an exciting new destination for us and allows Icelandair to utilize smaller Bombardier Q400 aircraft to reach new markets. 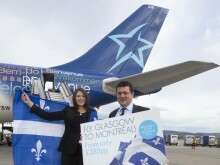 This new route will further broaden our network and give travelers even more options when traveling to Scotland." Aberdeen service will operate four times each week, on Mondays, Wednesdays, Fridays and Saturdays. The two-hour, fifty minute, non-stop flight from Icelandair’s Keflavik hub will depart at 8:00 am, providing quick, easy connections for passengers arriving from the United States and Canada. Icelandair gateways in North America include recently launched Portland, Oregon; Edmonton and Vancouver, Canada, and beginning in May of 2016, Chicago, Illinois. “It is excellent news for Scotland’s tourism industry that Icelandair has added this new route from Keflavik to Aberdeen. Our strategy is to develop the country’s direct air connectivity by working with global airlines to bring the world to Scotland, and it is hoped the route will bring many more visits, not only from Iceland, but also from our key North American market, which alone contributed £524 million to the Scottish economy last year." The cultural city of Aberdeen is the main centre of oil and gas industry in the North Sea, with numerous golf courses in and around the city and the majestic Royal Deeside, the region’s stunning Castle Trail. 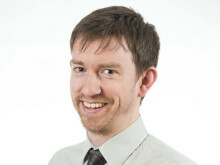 “This new service is fantastic news for Aberdeen Airport and further boosts Scotland’s international connectivity. Keflavik is the gateway to Iceland, but also offers onward travel to a wide selection of destinations, including cities in the United States of America and Canada. It will bring real benefits to the business community in the North of Scotland, improving their access to international markets, and will no doubt prove popular with tourists as well." Icelandair offers service to Iceland in three cabins of service from Boston, Chicago-ORD, Denver, Edmonton, New York-JFK, Newark, Seattle, Toronto, and Washington, D.C.; and seasonal service from Anchorage, Halifax, Minneapolis-St. Paul, Orlando, Portland, OR, and Vancouver, BC. 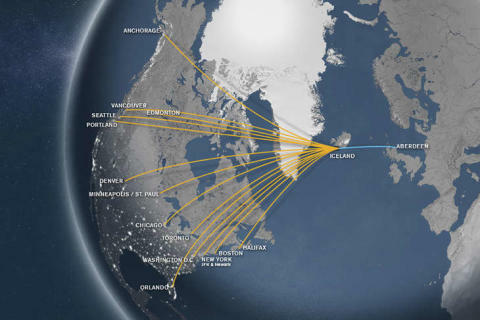 Connections through Icelandair’s hub at Keflavik International Airport are available to more than 20 destinations in Scandinavia, the U.K. and Continental Europe. Only Icelandair allows passengers to take an Icelandair Stopover for up to seven nights at no additional airfare; and amenities with every ticket including on-board Wi-Fi access, personal in-flight entertainment, and two checked bags included.